Our E-Programme has a team of experienced native English speaking teachers, who teach fundamental and elective courses of grammar, vocabulary, listening and speaking, reading and writing to M.1 to M.6 students. The programme attracts above average students, who enjoy school and learning and the foreign staff are treated as well respected members of the school community with a lot of help and support. Phitsanulok Pittayakom is a large well respected government boy's high school and our E-Programme has been running very successfully for 8 years. The school is 110 years old but our campus is brand new. Classrooms are modern, air-conditioned with up to date teaching aids available. Class sizes are small. The work load is between 18-20 periods per week, each period being 60 minutes. Phitsanulok is a large clean provincial city, half way between Bangkok and Chiang Mai and the cost of living is very reasonable. Regular air, train and bus services make traveling to and from Phitsanulok very easy. The school is located 500 meters north on route 12 from the route 117 junction at the top of this map. The teaching team is always looking for new staff to expand the courses on offer, so if you are a qualified teacher and would like to receive a wage that gives you a high standard of living in Thailand, work in a clean, pollution free environment, then get in touch with us. Applicants must be a Native English speaker from the U.K. Aust. U.S.A, Canada, N.Z., R.S.A., have a B.A. or higher degree and preferably a TEFL or equivalent certificate. 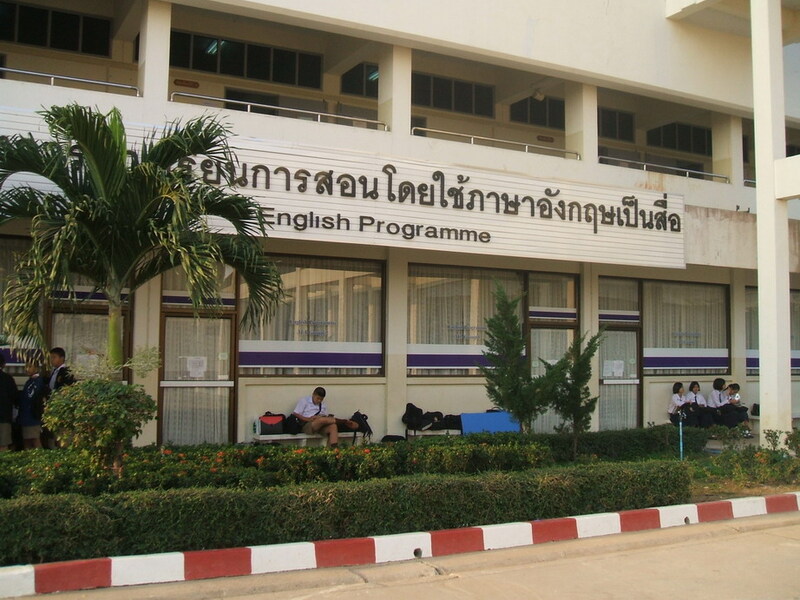 A general understanding of the Thai government school system is an advantage. The school offers a reasonable salary as per experience, a 12 month contract, 6 weeks paid vacation and Thai public holidays. Work permit and visa are paid for after the completion of a 1 year contract. Each position is subject to a 3 month probation period. If you are interested in working with us, ring the above number or forward your application and C.V. to the above email address.